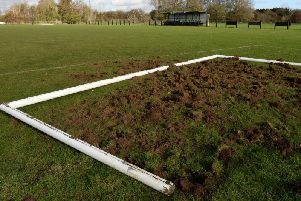 Aylesbury United manager Ben Williams was ‘disgusted’ and ‘embarrassed’ by his side’s performance during their 4-1 defeat to lowly North Leigh on Saturday, describing it as ‘not acceptable’. After a sticky run of form earlier in the season, the Ducks looked to be back on track when they beat Dunstable Town last weekend and then followed that by thrashing Shrivenham 6-0 in the Berks & Bucks Cup in midweek. But they fell to pieces on Saturday and were soundly beaten by a North Leigh side that went into the game with just two wins all season, sitting second-bottom in Division One Central. George Seacole’s fourth-minute opener set the tone for a disappointing afternoon for United, who were three behind by the half-hour mark as Noah Alabi and Seacole again gave them a mountain to climb in the second-half. Jack Tutton’s fourth shortly before the hour-mark ensured there’d be no way back for Aylesbury, despite Tre Mitford scoring his second goal in as many games 20 minutes from full-time. Williams, whose side are 12th, vented further frustration when speaking to the club’s website on Monday. 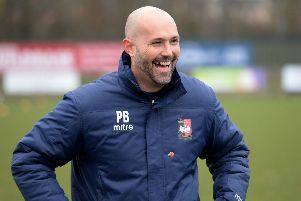 “Following on from Saturday’s disappointing performance and result, I thought it best to share my thoughts, more for my own sanity than anything else, but also to reaffirm my philosophy for Aylesbury United and non-league football at our level,” he said. “Firstly, the level of our play on Saturday was atrocious and not something I had foreseen after a great 2-1 win against Dunstable and 6-0 win at Shrivenham in midweek. “People have told me that inconsistency is expected from a young team, but that level was far from being inconsistent, it was not acceptable and it will not continue. “My model is to try and play football on the ground quickly whenever possible but is adaptable depending upon circumstances. I’d like to have a nucleus of local young players with a few from outside the area to strengthen the squad. “I would like to give huge credit to North Leigh, they are a young hungry team that like to play football and fully deserved their win no matter how poor we were.